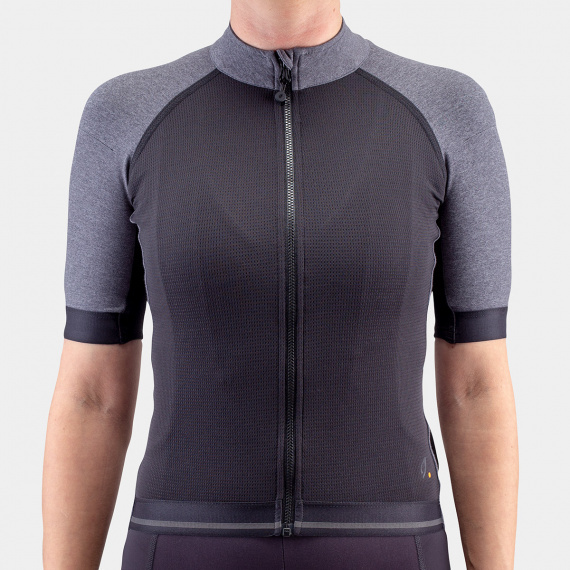 Combination of highly technical Merino fabric with a mélange-effect synthetic material milled in Italy. 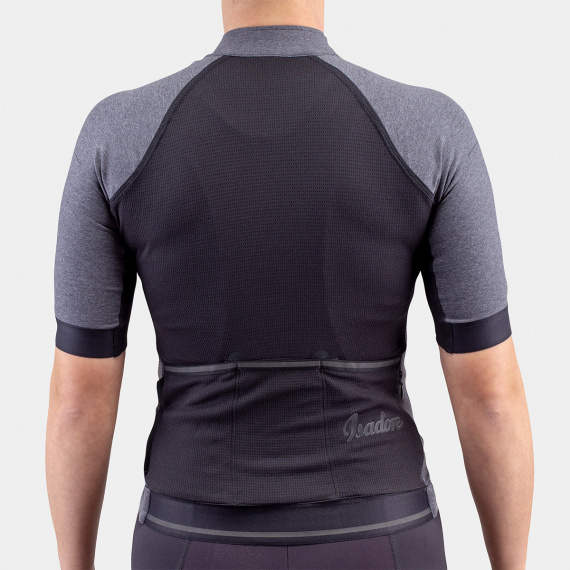 Slim fit for improved airflow combines with the feel of natural fabrics. 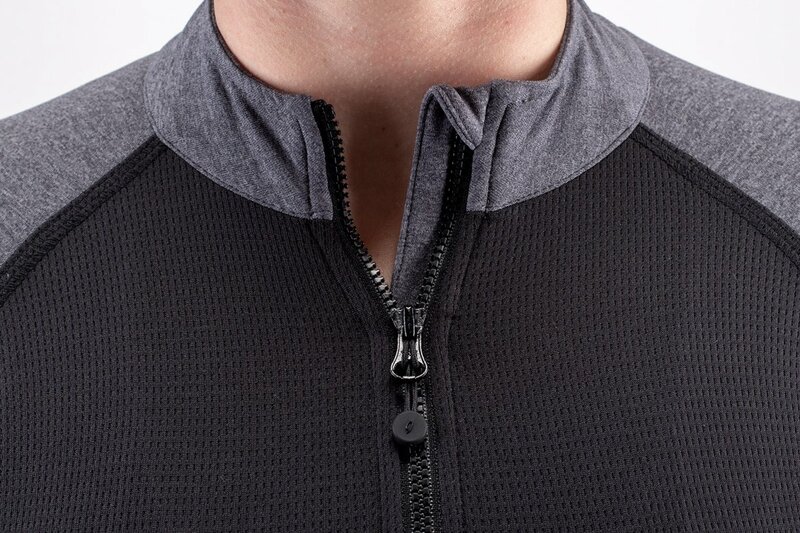 Extra storage room and enhanced number of reflective details. 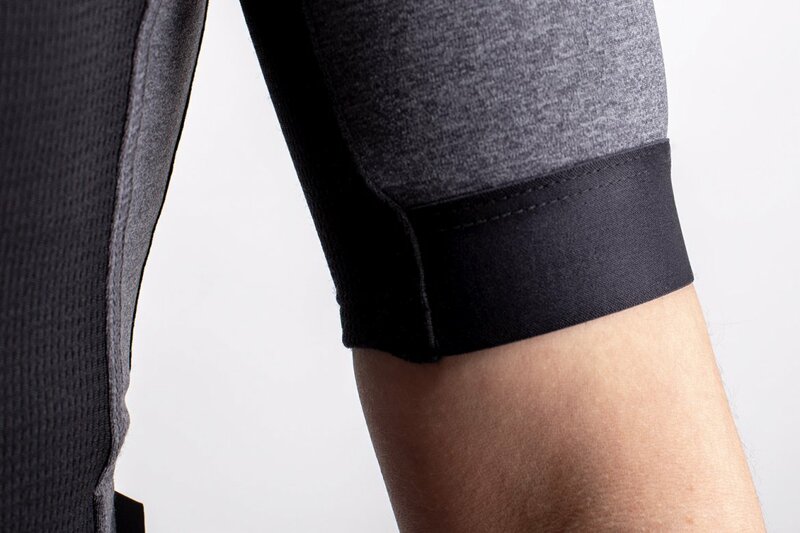 Like the rest of our Medio Line, we are combing high performance fit and materials with casual looking and understated design. 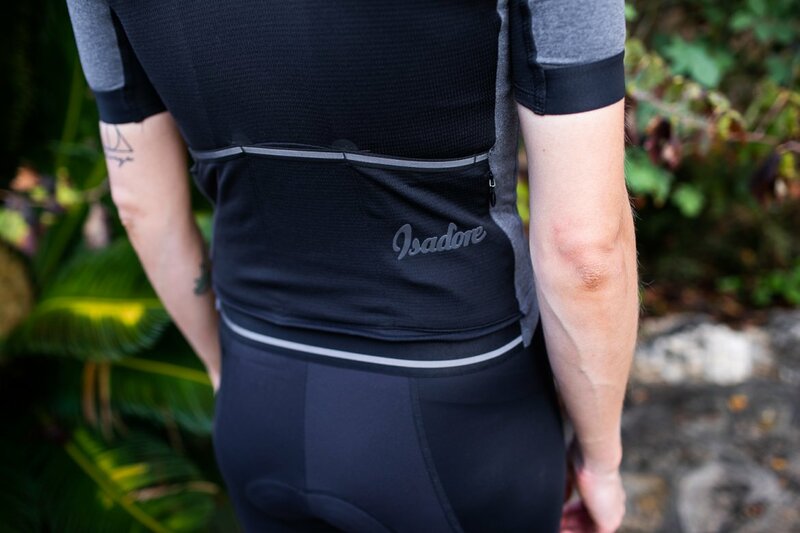 The Medio Jersey leans towards a more fitted, racing cut in order to reduce drag, and provide an extra dose of support for those high paced rides. 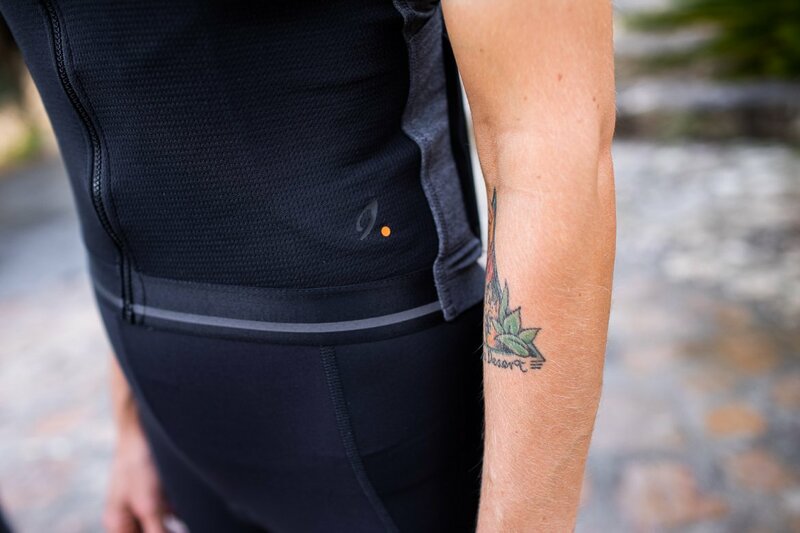 Suitable for late spring, early summer rides, and will be perfect for everything from your routine weekend lactate fest, or a calm jaunt to your favorite café. 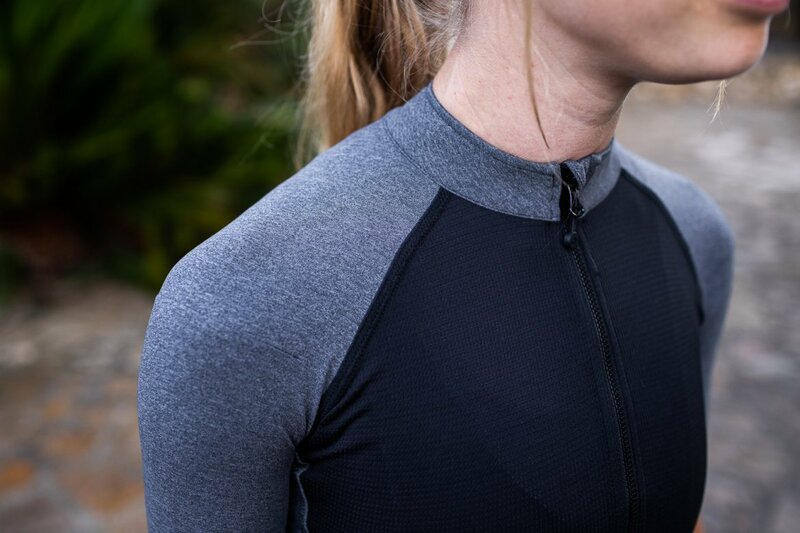 We have combined a lightweight Merino wool blend mesh for the front and back with a fine Italian mélange-effect Lycra for the sleeves and side panels to increase elasticity and freedom of movement. 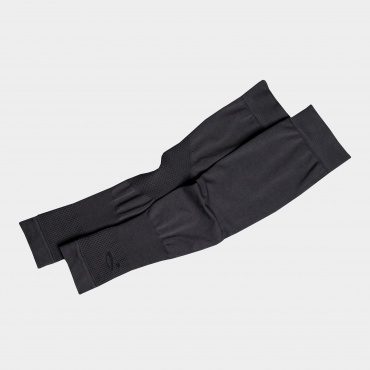 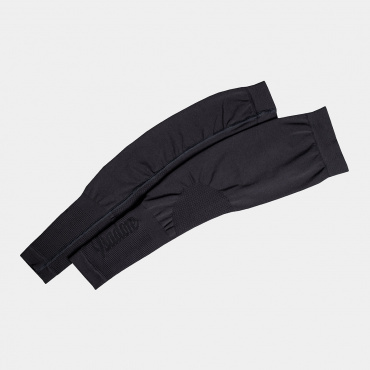 Sleeves and bottom hem are fitted with hypoallergenic silicone tape to keep the jersey in place during the ride. 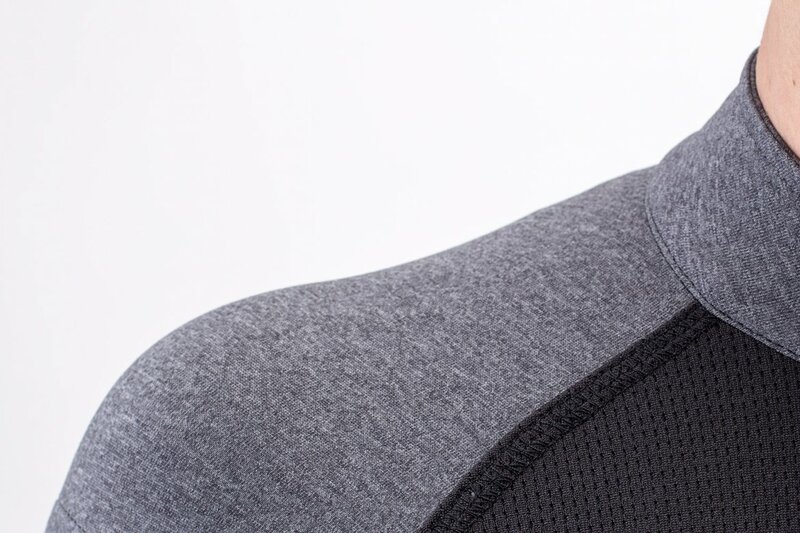 There is an extra pocket in the side panel and inside the jersey.